WhittyGordon Projects brought a group of young people from Springfield in Hackney alongside Shade Ajigbeda and Vibert Murdock to Chelsea College of Art, London http://www.arts.ac.uk/chelsea/ on a day trip to meet the MA Course Director, Brian Chalkey and MA Fine Art students to find out what life as an art student is like and to experience how a 3rd level art institution operates. We got some great feedback from the young people about the experience and how the trip benefitted them. 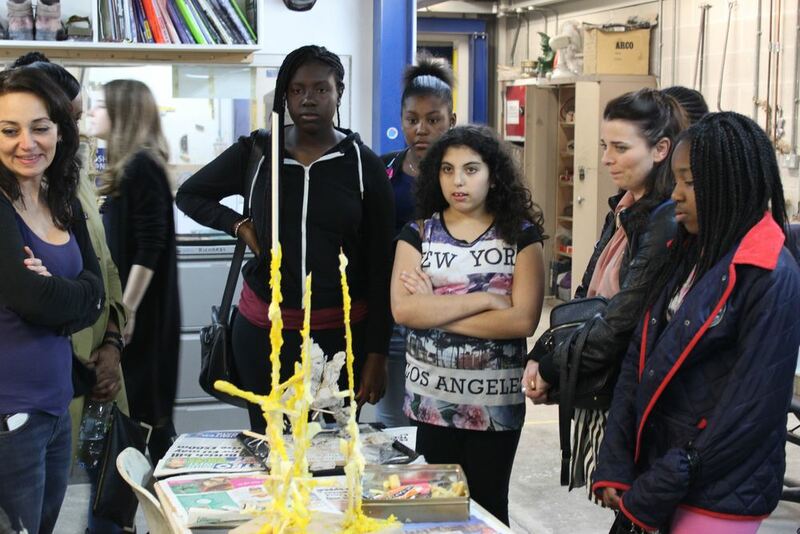 The young people from Springfield went on a gallery trip to Beers Contemporary http://www.beerscontemporary.com/ as part of the Bridging the Gap London project. Most of the young people had never been to a gallery before. Gallery Director, Kurt Beers brought gave a talk about how the gallery is run and the young people picked their favourite art work from the gallery and explained why they liked it. This is the 1st of many gallery visits we plan to do with Springfield.